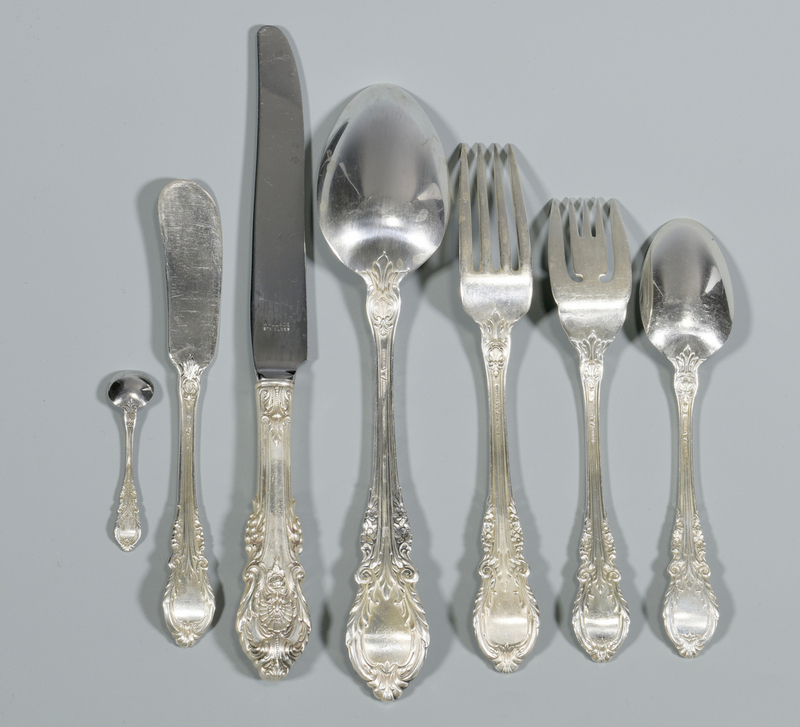 Lot 835: Wallace Sir Christopher Sterling, 74 Pcs. 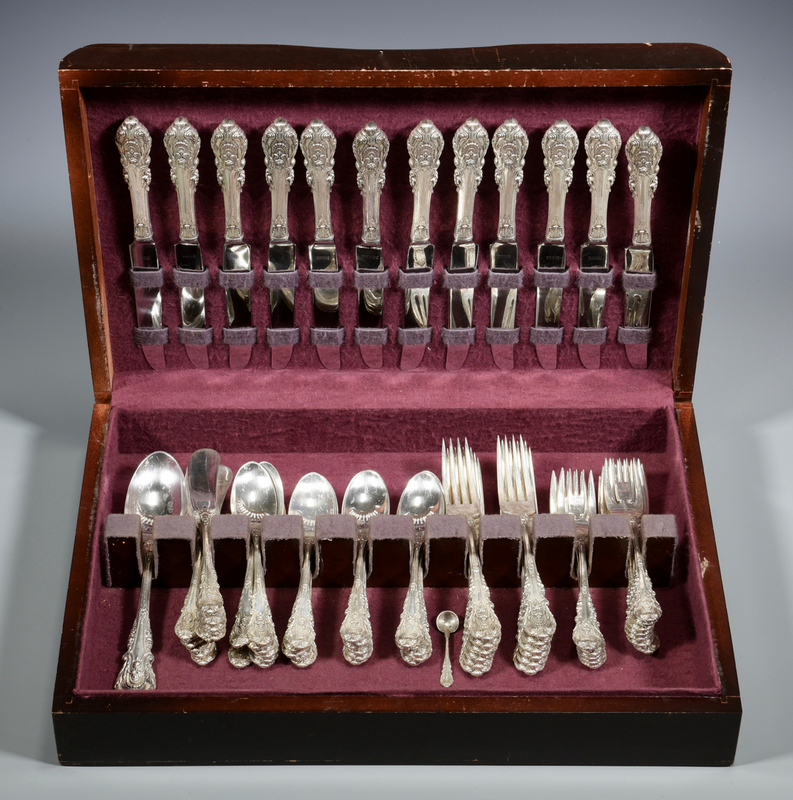 You are here: Home >> July 30, 2016 Historic Southern Summer Auction >> Lot 835: Wallace Sir Christopher Sterling, 74 Pcs. 74 pcs. 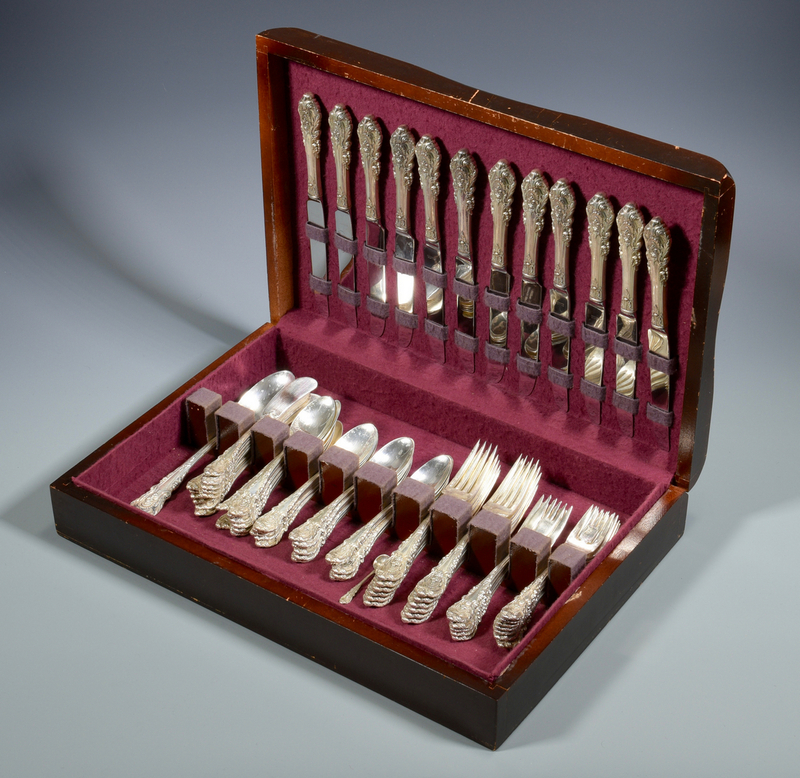 Wallace sterling silver flatware in the Sir Christopher pattern. 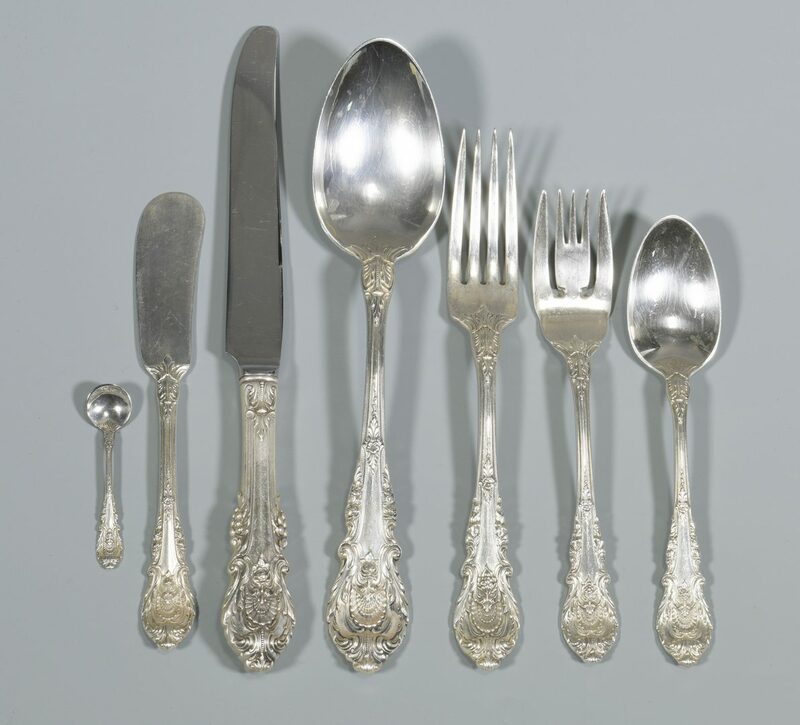 Includes 12 dinner knives (9" L), 12 flat butter spreaders (6 1/4" L), 1 serving spoon (8 1/2" L), 1 salt spoon (2 7/16" L), 24 teaspoons (6" L), 12 forks (7 1/4" L) and 12 salad/dessert forks (6 1/4" L). No monograms. 78.6 weighable oz troy. 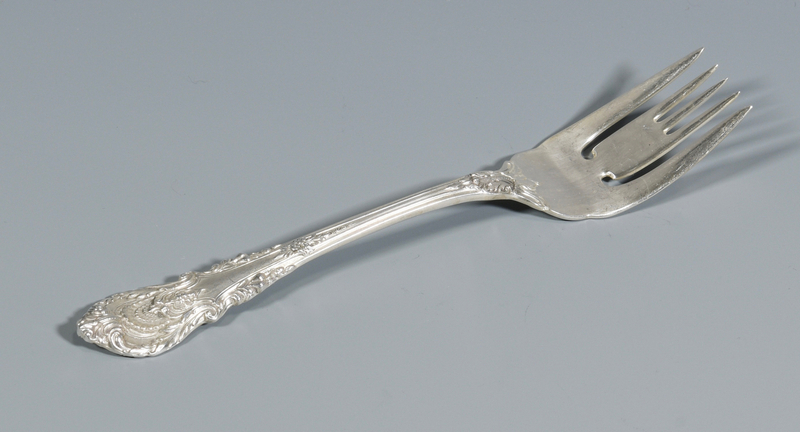 Group also includes 1 Rogers Bros. 3X plated fish server (11 3/4" L). 75 items total. 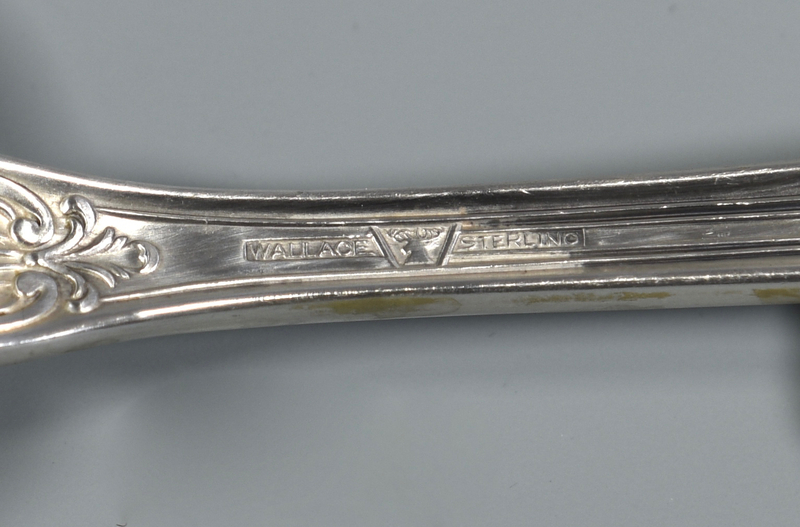 CONDITION: Overall good condition with scattered surface scratches due to use. Not monogrammed.